Outpatient physical therapy is a unique slice of the health care pie. Few, if any, other disciplines have relatively healthy patients who attend so frequently and for treatment sessions that are long in minutes and personal in nature. If you think about it abstractly and say, “I am going to pay to spend a few hours a week at this physical therapy clinic with no guarantee of success,” it seems like a proposition few would take or at least take with a heavy dose of skepticism. Yet the popularity and importance of physical therapy as part of health care continues to grow. With that comes an increase in access and an increase in physical therapists opening and expanding clinics. Competition is always good for the marketplace and brings a few simple questions. Are my patients having the best experience from the first point of contact to the last? 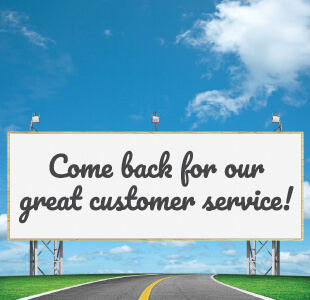 Do we have a culture of customer service excellence? To create a great customer experience, clinic owners and those in leadership positions can follow a simple but effective map for success. What is your vision for the optimal customer experience? Does everyone who works for you understand and believe in the vision and do they practice it daily? “We want to have great customer service” is fine as a slogan, but actually turning words into ethos starts with defining your vision. If you have several employees, come together and brainstorm to define your desired experience. Simple goals with easily defined measurements give each team member the opportunity to understand not only what the goal is (great customer service), but what specific thing I should do to help our team reach this goal. An important first step is defining these goals and creating employee buy-in, but an equally important step is the follow-up. Routine employee roundtables that celebrate success in customer service and openly discuss failures or missteps build a culture of customer service. In the hiring process, prospective employees should be given examples of customer engagements and queried about how they would have handled the situation. Candidates with similar work experience can and should offer the one situation they were proud of and the one they wished they had handled differently. Who are your patients and prospective patients? Every clinic owner dreams of a diverse patient population, but demographics can be more uniform for given populations or locations. Due diligence doesn’t end when your clinic opens; it continues as your patient population grows. A patient population heavy on young athletes or geriatric patients or busy working patients will have different expectations, and having a team that can be nimble enough to recognize and react to those needs is another key component to creating a great customer experience. Recognize that understanding your patients’ needs around patient intake, scheduling, and insurance issues all occur before the client gets to meet the therapist. Front office staff must be elevated and celebrated so that they feel and understand their importance. One easy place to start is the first call. The prospective client has taken the action to call your office, so some part of your marketing plan has worked, but with the fish on the hook how do you get them all the way to shore? Patient intake is the very important opening round in engaging your customer for the long term. To schedule a patient we need to take a lot of personal information. It needs to be precise and quick, and the caller can often become quickly annoyed. Proactively, front office staff can be involved in practice calls, or reactively they can get immediate feedback on calls on which you’ve been able to listen to their end of the line. Having conversations around “How did that call go?” early in the employee’s career affirms the commitment to customer service and offers a chance for change in behavior. The customer’s side of the first call is more challenging to measure. If they’ve made it to the evaluation room then you can assume, most of the time, that they had a good experience in interacting with the front office staff. This assumption misses an important (and sad but true) point. The bar for customer service in health care is low. Oftentimes if a patient has a negative experience at their dentist’s office, they realize it’s only a few times a year and think, “Oh well, I’ll put up with it because I really like my hygienist.” Outpatient physical therapy is the opposite. Contact is usually frequent and for a long duration. What an awesome opportunity to create a great customer experience! But it is also fraught with chances to miss expectations. If you’ve identified someone who’s had a negative experience or they’ve come to you to express their displeasure, you have a chance to acknowledge and correct the mistake. Fixing these problems can be achieved in three steps that each team member should understand and act on: Listen. Apologize. Promise to act. Listening seems simple and obvious, but any stroll through the self-help or “relationship” section of the bookstore will show you that there is a lot more to listening than having ears, and ending an interaction with someone feeling like they were “heard” is a skill that must be developed. Most cranky customers only want to be heard. Sometimes it is necessary just to keep your mouth closed and your ears open. Then ask questions about the negative interaction. Listen. Acknowledge why the client is upset. Listen. Avoid trying to “fix” the problem or refute the person’s position. Listen and move to step two: Apologize. Too often in society and in customer interactions the idea that “the customer is always right” centers around giving in to someone characterized as demanding or entitled. Simply saying “I am sorry that this happened” is powerful. Equally as powerful is having a team and leadership that understands that along with the apology there is a key substep: the thank you. 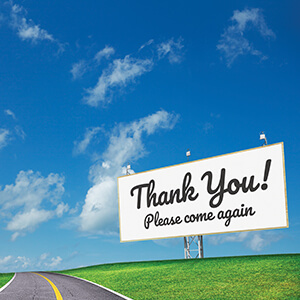 Each situation is unique, but listening to complaints, apologizing for failing to meet expectations, and then thanking the person for letting you know about it pulls the steps to creating a great customer experience closer together. Thanking someone for explaining their grievance not only shows you are sincere but also shows respect and a willingness to learn. Angry clients who disappear because they do not feel respected or heard are out there spreading negative reviews and you don’t know it. A patient who gives you a second chance and ends up happy will create a stronger bond and be more likely to recommend you in the future. Eric Cardin, PT, MS is executive director of South County Physical Therapy in Auburn, Massachusetts. He can be reached at ecardin@sc-pt.com.